Selecting the right piece of framing lumber for your project does not have to be as complex as the grading rules. 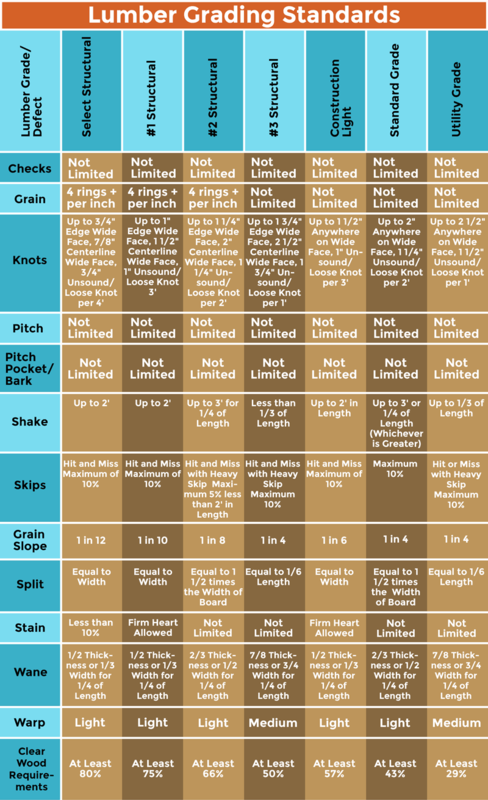 This guide to the grades of lumber, is meant to help you get past the uncertainty by giving you the knowledge of what the grades allow and how to achieve an apple to apple comparison of what you see. SPF for a mix of White Spruce, Engelmann Spruce, Lodgepole Pine, and Alpine Fir. Every species has different characteristics for strength and appearance, but they are all graded on the same rules from the American Lumber Standards Committee. The grades, for all that they do, are not much more than a way of telling the user what kind of quality they are buying. The higher the grade, the better the lumber. Checking – A crack in the board that happens along the growth rings and does not go through the entire board. Grain – Determined by the number of growth rings in the board. 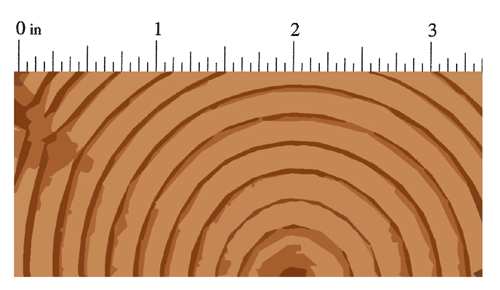 Typically measured in rings per inch and is viewed from the end grain of the board. Knots – A naturally occurring defect in the board caused by branches as the tree grows. Small tight knots are perfectly fine but large loose knots that may fall out are of greater concern. Pitch or Sap – How trees heal wounds from pruning or fight off other diseases that could be otherwise harmful to a healthy tree. Pitch Pockets – Places in the board where the tree has grown around the sap enclosing the wound. These pockets coupled with the tight bark layer can be found in the wide face of a board and are not the same as edge wane. 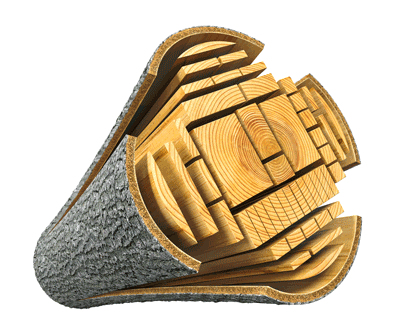 Shake – The separation of woods growth rings that occurs either on the face of the wood or below the surface. Skips – A manufacturing defect where planners and saws “bounce” along a board or pull the grain, causing an uneven surface to be presented. Grain Slope – A measurement of the deviation from the natural growth of the board. Simply put, it is the board cut parallel to the grain or across it. Splits – Cracks in the wood that go all the way through the board. Stains or Discolorations – Can be caused by insects, fungal decay, or heartwood/sapwood. Some stains have no effect on the performance of the wood, while others limit the strength of the wood. This is because they come from the fast-growing center of the tree. Wane -The uneven edge of the tree that used to contain the bark of the tree before it was milled. Warp – In a board is the deviation from straight and true and is called by many different names. A bow in the board is the end to end change on the wide face. This looks like the bottom of a boat. A crook in the board is the warping that happens along the narrow edge. This looks like a hockey stick. A cup in the board is when the wide face curves with the flat grain creating a hollow in the board. This looks like a canoe. A twist in the board is a combination of multiple warping defects. This often looks like a boomerang or an airplane propeller. Clear wood requirement is the amount of good wood left after all the defects have been removed from the clean faces of the wood. The chart below shows the seven grades of framing lumber and the allowable deviation from a perfect piece of lumber. 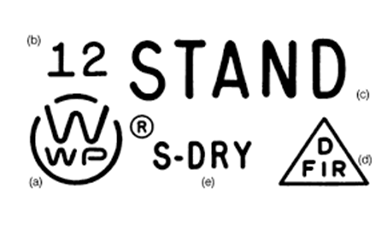 The final piece of the lumber puzzle is the ability to look at a grade stamp to understand what it is telling you. All stamps on lumber tell us the exact same information; (a) the grading agency, (b) the mill designation, (c) the approved grade, (d) the wood species group, (e) the moisture content. In most jurisdictions, the building code requires #2 Structural, commonly referred to as #2 & Better. This is why it is found at most lumber yards and home centers in your area. Lumber yards will differ on the primary species family they carry. 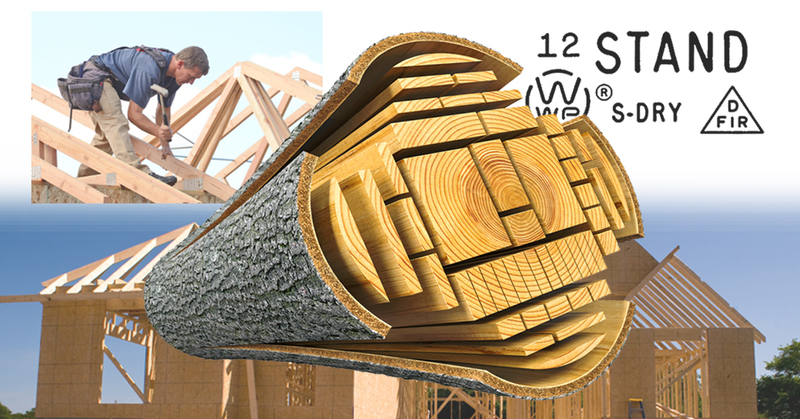 One yard might sell Douglas Fir for the strength characteristics while another chooses Western Hemlock because it is cheaper while still meeting the same building codes. 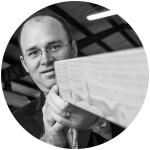 In many commercial uses, select structural lumber is required because of the strength of the wood fiber. Typically, these are applications with very high point loads due to the increased capacity of the structure itself for storage or for people. Most residential construction that is done with Select Structural lumber is done because the builder and the homeowner prefer the quality of the fiber. The lesser grades of lumber are often used where structural codes do not matter in industrial or temporary applications. These can be things like pallets and packaging for shipment or concrete footing work where one good face will usually be adequate. Whatever lumber you choose, knowing the grade will help you determine if it is right for your project. Grading used in conjunction with the design tables will help make sure that your project lasts for as long as you want it to. Span Charts, design tables, and a calculator can be found at the American Wood Council. Angeles Millwork & Lumber Co. Inc.
Community Comes Together Yet Again to Support Operation Uplift!